It is always better to have a lot of natural light come into a room which can make a room seem cleaner, brighter, and larger. If you are struggling with darkness in a room, these tips will help you to bring brightness inside. You always needn’t think in terms of renovation as the only way to remodel your dark room. Even if people like darkness, they don’t like it for too long. It’s no surprise that people are trying new innovations and decorating tricks to bring that sunshine and brightness inside. Natural lights mean more vitamin D in the house. When there is more vitamin D in the house, there is more vitamin storage in the body. Research notices higher productivity levels when there is natural light which gives a calmer atmosphere and a relaxing space to work. Artificial lighting on the other hand when not placed in the right space gives a disturbing feel. Even experts in the field of design and architecture suggest that we need to reduce our dependence on artificial lighting. A large and colourful rug is not just for defining a space in the room. It can be used to add energy and colour to a dark room. A colourful rug is a simple way to show off the aesthetics of a room. Hang different kind of mirrors in the room as it doubles the sunlight in the room. A mirror reflects a lot of sunlight which brings more brightness to the room. In case, it is not a room you have to brighten but a small space like a staircase then arrange many small mirrors to help to bring light in. Arrange antique mirrors in the stair case and light will be reflected from the second story. 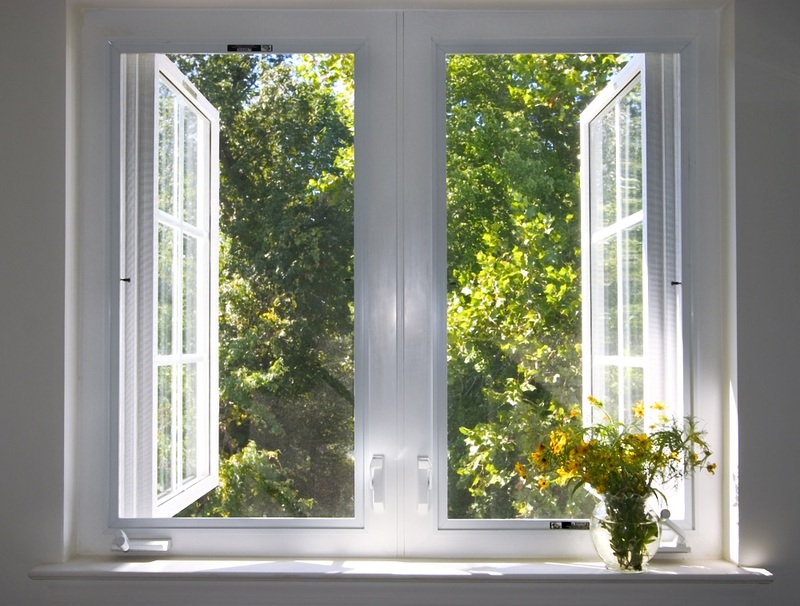 If you don’t have enough windows in your room, adding windows would be the best way to get natural light. If you have a room that faces a busy street, you can get window frosting done; get sheer curtains, top-down bottom-up cellular shades which ensure privacy for you. 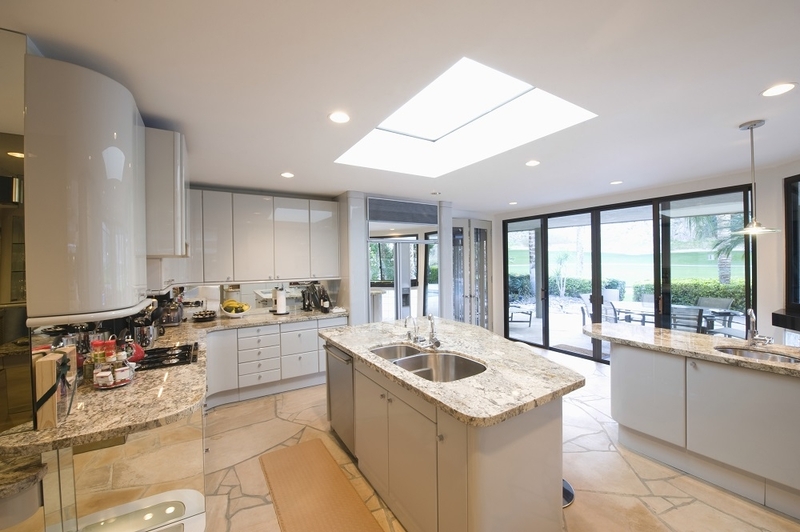 Skylights bring natural light into a room without taking up any space or compromising privacy. There are different kinds of skylights available in shops but all of them bring in the same amount of brightness and also bring in a great sense of style. Painting is a fun activity and can also be a DIY project you can do with friends and family. When you paint the walls with lighter colours, it reflects sunshine throughout the room. When darker colours are used to paint walls, the sunlight gets absorbed by it. Not many people know that curtains reflect light in a beautiful way. Heavier and dark curtains need to be avoided as they would absorb light. When you properly hang curtains in the dark room, the room looks bigger too. Curtains can be hanged high and wide, so that when they are used, they aren’t blocking light from entering inside the room. Incorporating anything in the room, which is gold and silver is an easy way to transform darkness into brightness. There are many golden chandeliers available in the market. You can even add some golden metallic mirror and pieces of artwork. Moderation is essential as overdoing it doesn’t look visually pleasing and creates a confused state. Make sure that light from outside reaches your window easily. If there are any trees near your windows, the tree will make it difficult for the natural light to get in. If there is a large tree or a bush near your window, make sure you trim it, so you can get natural light inside the room. Glossy walls create glare rather than reflect light. Matte surface reflects light in every direction. You may adore the paintings and artwork you purchase but placing artwork everywhere also means less amount of vitamin D in the room. If a room is covered with different colours of paintings, it absorbs all the left over light in the room. Try to hang one favourite piece of artwork than hanging everything together in a room that doesn’t have much light. Bookshelves should never be placed parallel to a window as they will obstruct light. If you place book shelves in a perpendicular position, you will get a lot of natural light. Translucent furniture, mirrored surfaces, and acrylic accents such as reflective coffee tables help in bringing in natural light inside the dark room. What's your idea to brighten up a dark room?